Into the final stretch: Here are more reflections on the Heidelberg Catechism in honor of its 450th anniversary. (For some background and the entire document, check this out). Q. 86. Since we are redeemed from our sin and its wretched consequences by grace through Christ without any merit of our own, why must we do good works? A. Because just as Christ has redeemed us with his blood he also renews us through his Holy Spirit according to his own image, so that with our whole life we may show ourselves grateful to God for his goodness and that he may be glorified through us; and further, so that we ourselves may be assured of our faith by its fruits and by our reverent behavior may win our neighbors to Christ. Q. 87. Can those who do not turn to God from their ungrateful impenitent life be saved? Q. 88. How many parts are there to the true repentance or conversion of man? A. Two: the dying of the old self and the birth of the new. Q. 89. What is the dying of the old self? A. Sincere sorrow over our sins and more and more to hate them and to flee from them. Q. 90. What is the birth of the new self? A. Complete joy in God through Christ and a strong desire to live according to the will of God in all good works. Q. 91. But what are good works? A. Only those which are done out of true faith, in accordance with the Law of God, and for his glory, and not those based on our own opinion or on the traditions of men. With these sets of questions and answers, the catechism moves into the third of its three divisions, which many have called ‘guilt, grace, and gratitude‘. We first had to hear the bad news of “our sin and its wretched consequences“. Then, we must hear the good news of God’s redemption in Christ. Then, and only then, can we begin to talk about what a life of obedient discipleship looks like for those whom God has called to himself in Christ. This progression is typical of the Reformed confessions and catechisms because it seeks to avoid the twin dangers of legalism (instructing right behavior before sharing the gospel) and lawlessness (avoiding the need for right behavior lest we think it merits salvation). In Christ we are a new creation (2 Corinthians 5:17), and the birth of that new creation is to be the beginning of our good works. Faith in Jesus Christ issues forth in good works (James 2:14-26). Protestants who hold strongly to the concept of sola fide (faith alone) are often guilty of fumbling this topic. That’s where something like this catechism can help to chart the course. Before it moves to an exposition of the Ten Commandments, it reminds us that our redemption in Christ is what gives birth to our good works and the death of all that opposes that. The birth of our good works is part of the birth of our “new self” (Ephesians 4:24; Colossians 3:10). The brief description of conversion found above is excellent, and useful as a succinct teaching tool. Conversion (which, in the Reformed sense, is not an instantaneous decision but basically a synonym for sanctification, i.e. the life-long process whereby we are made more and more into the image of Jesus Christ) consists in a dying to sin and rising to righteousness, the death of the old self and the birth of the new. This new self reveals itself through “Complete joy in God through Christ and a strong desire to live according to the will of God in all good works”, and those works, which he has prepared in advance for us to do (Ephesians 2:10), find their pattern and path in the Word. Like an ultrasound, the first images we have of this new self may be grainy and vaguely defined. It takes time to mature in our faith. 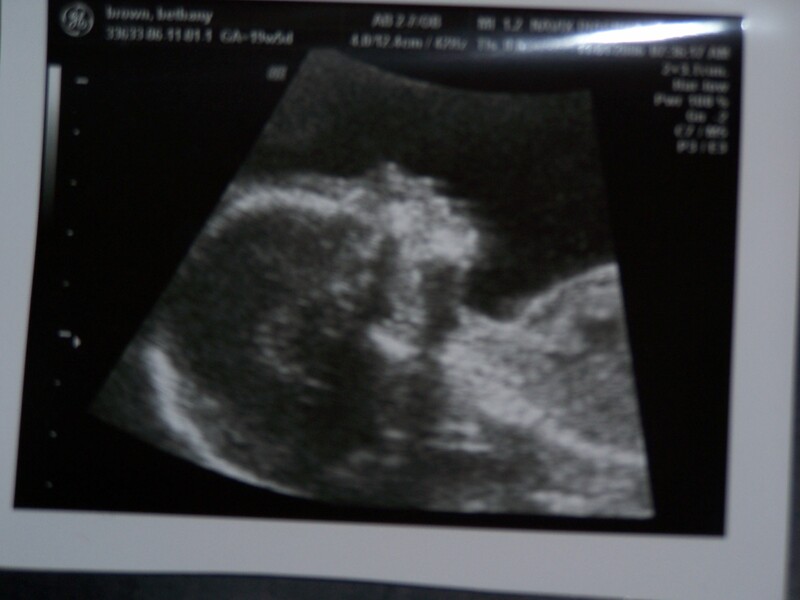 But I think most parents would say that seeing that first ultrasound picture is something exciting and special. In the same fashion, seeing the first glimpses of the “new self” in someone who has called upon Jesus Christ in faith and begun to pursue a life of patterned discipleship in conformity to the Word is exciting and special. There will be growing pains, but that is why we must daily experience this dying and rising.